Just a bit of show-and-tell for you today regarding recent birthday happenings! I made some simple things for baby's first birthday - a few banners and a knitted crown - that I thought made her party this weekend personal and all the more special. 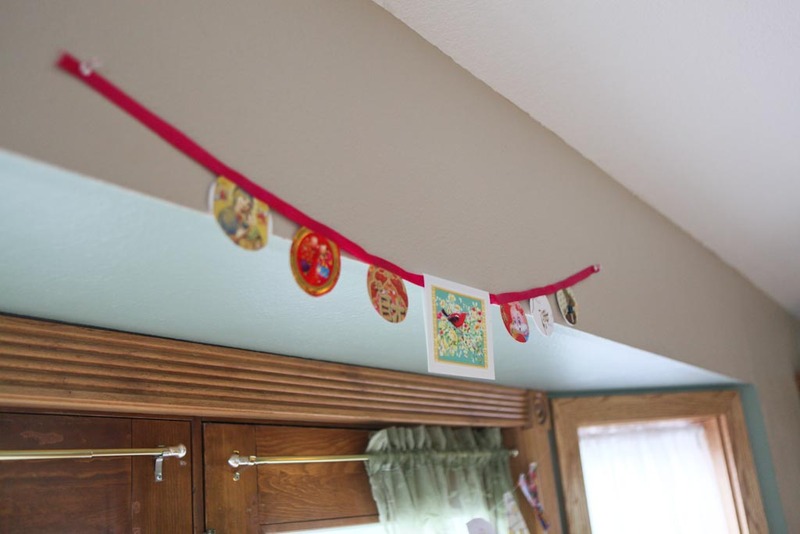 Her happy birthday banner is made from cards we received ever since we first anticipated her arrival into the world. So, there are "congratulations on your pregnancy" cards, baby shower ones, happy one month wishes, and baptism celebration cards. 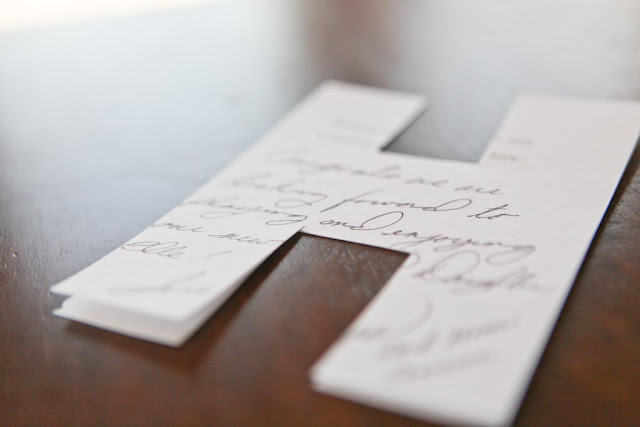 I tried to preserve much of the writing inside the cards by using it as a backing. If I had more forethought (rather than just diving into my fit of crafty craziness before the mood passed), I may have taken pictures of the writing in the cards as a kind of historical record before cutting them up. The letters are glued together with a piece of heavy thread. I had some odd sized cards left, which I cut into circles for a second banner. 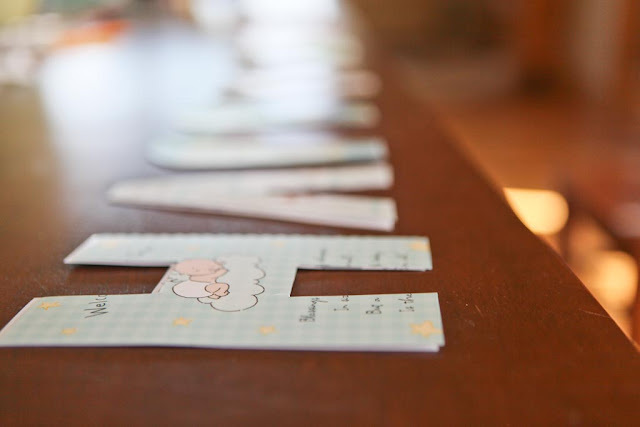 And finally, I freehanded some fancy letters (inspired by these) to spell out baby's name. I used bits and pieces of paper I had around the house; card stock, tissue paper, and I even cut one letter out of an old gift bag that I liked the pattern of. These were strung together in the same fashion as the birthday banner, only I used cardboard as the backing. Her crown is knitted from this pattern, and I hand sewed her initial on the front using a piece of scrap fabric from an old onesie. So there you have it! It's nothing fancy, but it's a bit sentimental, and I really enjoyed making these things, all the while thinking about my sweet babe, and letting all the (surprisingly strong) emotions that come when remembering a first year of life be part of the creative process. 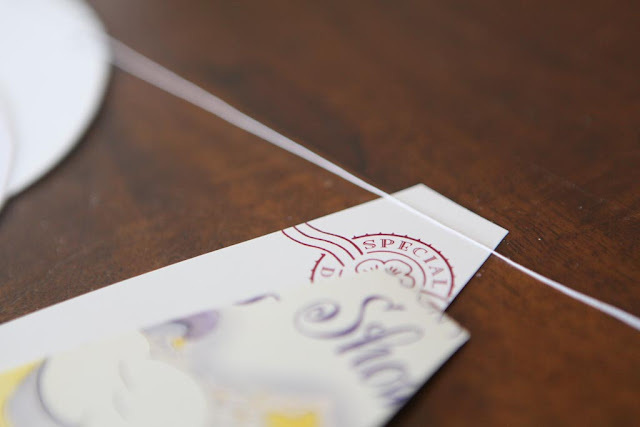 It's in those details that the true celebration lies. How absolutely amazing! So personal and special and homespun and cute! All of your projects turned out wonderfully. Good work, Mama! A great Birthday and Such LOVE!!! I wonder what yarn was used for the crown - she deserves the very best and she has it in a loving mother. Hugs to the sweet birthday girl - always in my heart. It's a hand-dyed wool that I've had in my stash forever, but couldn't find quite the right project for it until now! Just lovely Jaime! I can't believe she is one already! 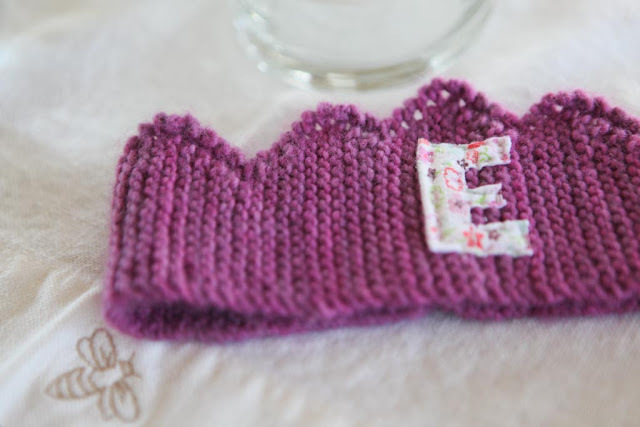 What wonderful and special celebration keepsakes you have made....i adore that crown...do you think i could master that as a beginner knitter? love to make one for the twins 2nd birthday! Oh yes, Jode! You can make this crown no problem. I'm still very much a beginning knitter, too. Thanks Jaime! Not sure i will get 2 done in time but shall give it a go, thanks for the inspiration!! What a great idea to do with all of the cards! I've got all of ours in a box. It was in March when I finally realized that Corrine was no longer a baby and I cried. Enjoy her big day. In fact make it a week! heehee :) more of that to follow for sure! So sweet, all of it! Love the knitted crown and the use of the cards. That first year flies by and really is something to pause and reflect on, isn't it? It's a bit like coming out of a dream, the fog....to see that life really if that good, that sweet. Happy Birth-day to you, too. Every last detail is so incredibly sweet. Happy birthday, Little One! Thank you all so much for your sweet comments. What beautiful decorations (and crown!) You've really made her first birthday a celebration of the heart. I sure wish I had this idea when mine were younger...what a great use of the birthday cards that are sent. I usually stick them in cookbooks so it is fun to come across them years later. 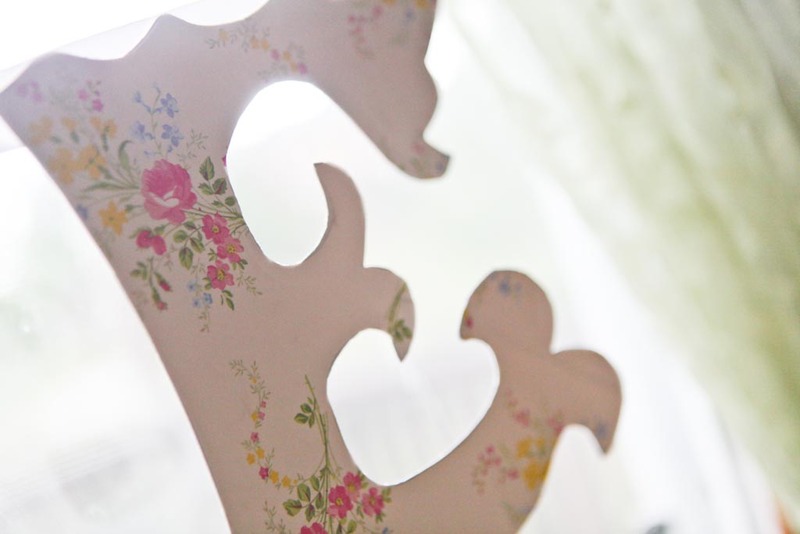 Love your simple and sweet celebration of her first birthday! 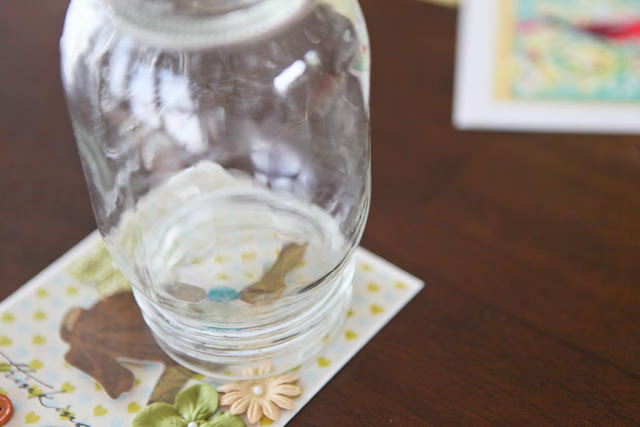 I am going to pass this idea along to my sister-in-law who is very crafty...she will love it! very sweet! love the idea of using cards. great job, mama!